Hop-On Hop-Off Tours are not for everyone but here's why they might be just the ticket. First, large cities can be overwhelming for first time visitors. Where to start? For cities like London, Rome or New York, the bus ride with commentary is a great way to get a feel for the major sights, neighborhoods and distances before planning visits to specific attractions. Second, visitors who want to simply zone out and watch the world go by can take in the sights without having to go through the effort of visiting every attraction en-route. Third, bus tours stop at sights that can be inconvenient to access by public transport, requiring multiple subway or bus transfers. Buying the hop-on hop-off card makes it easy to visit a top attraction like the Kilmainham Gaol in Dublin, a not-to-be-missed attraction outside the city center. Without fluency in the local language, using public transport can pose a challenge whereas the buses stop often and in convenient spots in a city like Barcelona. Fourth, if one's travel requires a layover in a city like Singapore, why not try the 3 hour night tour and get a feel for the city instead of sitting at the-admittedly amazing-airport? Finally, if shared travel does not appeal, a private tour in a more distinctive vehicle like the famous London black cab can be an experience in and of itself. This New York package includes a 96-hour ticket on the New York City Hop-on Hop-off Tour, ticket on a hop-on hop-off ferry, ticket to Top of the Rock Observation Deck and a Woodbury Common Shopping Tour - everything you need to see and do in New York! Downtown Tour: View famous neighborhoods and attractions like Times Square, Madison Square Garden, Empire State Building, SoHo, Wall Street, Financial District and Rockefeller Center. Uptown Tour: Views of Fifth Avenue, Museum Mile, Lincoln Center, Time Warner Center, Central Park, Metropolitan Museum of Art, The Guggenheim, Museum of Modern Art and Harlem Market. Brooklyn Tour: Drive through trendy and historic neighborhoods with views of the Brooklyn Bridge. Pass the oasis of calm at Prospect Park, see stately mansions plus the grand arches at Grand Army Plaza. Night Tour: Enjoy breathtaking views of the glittering Manhattan skyline and the Brooklyn Bridge lit against the night sky. Also make a stop at historic Fulton Ferry. Hop-on Hop-off Ferry: Enjoy a day of hop-on hop-off privileges aboard a harbor ferry. Frequent departures from 10am to 3pm, this convenient ferry has three stops at World Financial District, Pier 11 and Dumbo. 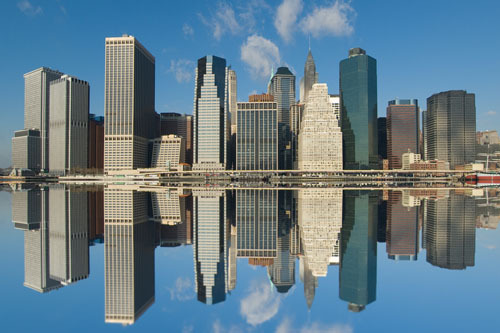 Museum of the City of New York:The museum is dedicated to fostering an understanding of New York's evolution from its humble origins to one of the world's greatest cities. Woodbury Common Shopping Tour: Visit and shop at the world-famous Woodbury Common Premium Outlets. You'll experience the ultimate shopping experience with over 200 designer and brand-name outlet stores offering savings of 25% to 65% everyday from leading designers and name brands including Burberry, Chanel, Coach, Dolce & Gabbana, Fendi, J.Crew, Giorgio Armani, Gucci, Lacoste, Nike, Prada, Polo Ralph Lauren, and more. Top of the Rock: Take in unobstructed 360 degrees view of New York City from the 70th floor, the breathtaking landscape stretches for miles in every direction. Top of the Rock includes a panoramic view of Central Park and the northern half of Manhattan that cannot be found anywhere else in New York City. Discover the best of the Emerald Isleâ€™s ancient capital on this City Sightseeing hop-on hop-off bus tour of Dublin. Opt for a 1- or 2-day ticket and choose from two different routes through the city. Explore Dublin's historic buildings and vibrant nightlife at your leisure. Hop on and off the open-top buses at any of the 28 stops throughout the capital. Admire top city highlights such as the Old Jameson Distillery, Dublin Castle, the National Art Gallery, St Patrickâ€™s Cathedral and of course the world-famous Guinness Storehouse. Choose from a 1- or 2-day ticket and step aboard the City Sightseeing open-top, double-decker bus at any of the 28 stops around the city. Cruise Irelandâ€™s ancient capital in style and take in amazing city views from the comfort of your seat. Travel the red route to hit top Dublin highlights such as the National Art Gallery, St Patrickâ€™s Cathedral and the world-famous Guinness Storehouse, or the yellow route for Trinity College, Parnell Square, Christ Church Cathedral and Dublinia. Buses depart regularly from each stop along both the red and yellow itinerary routes, leaving you free to hop on and off at your leisure. Enjoy the freedom to use the City Sightseeing hop-on hop-off service as much or as little as you like. 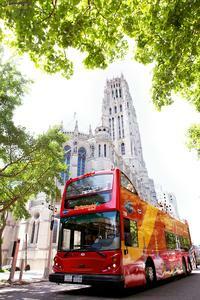 Stay on board for a complete city tour, or use the bus to navigate your way to the attractions youâ€™re keenest to see. Informative on-board commentary offers valuable insight into the cityâ€™s fascinating heritage and ensures you donâ€™t miss any of the highlights! See top London sights from above and below ground on this private, 4-hour black cab tour! Guided by a knowledgeable and friendly driver, your tour includes a visit to Londonâ€™s little-known underground tunnels beneath the River Thames, as well as visits to several vantage points around London for panoramic views. Climb the Monument to the Great Fire of London, see the dome of St Paulâ€™s Cathedral and cross the River Thames by cable car. Arriving in a classic London black taxi, your private driver will collect you from your central London hotel, and then youâ€™ll be on your way. Relaxing in the black cabâ€™s comfortable seats, sit back and watch the sights of London pass by as your friendly driver tells you about this fantastic city â€“ from above and below! While the skyline of London is rightly famous, not so many know about the cityâ€™s network of subterranean tunnels â€“ almost comprising a city in their own right! On a route around central London, stop to explore some of these fascinating tunnels underneath the River Thames, and visit an underground church crypt. Hear about the tunnelsâ€™ uses during Victorian times and learn about the secret passageways that were said to be used in the world wars. After exploring below ground, head back into the daylight to continue your journey around central London. Climb the 31-step staircase inside the Monument to the Great Fire of London (or simply, â€˜the Monument,â€™ as Londoners know it) and then head to the City of London for an incredible view of the dome of St Paulâ€™s Cathedral. Marvel at Westminsterâ€™s skyline from the top of a tower inside Westminster Cathedral (extra charge) and see top London attractions like Big Ben and the Houses of Parliament from this panoramic vantage point. Your tour also includes a tantalizing sight of the River Thames as you cross above it by the new Thames Cable Car (extra charge) that connects Londonâ€™s Royal Docks to the Royal Borough of Greenwich, on the south side of the river. After four hours of seeing Londonâ€™s sights from above and below, your tour finishes back at your central hotel. With access to over 26 top LA attractions, activities and tours, the Go Los Angelesâ„¢ Card offers something for everyone! Tour Warner Bros. Studio on a VIP tour; meet your favorite celebrities at Madame Tussauds Hollywood; take a hop-on hop-off city tour; experience thrills at Six Flags Magic Mountain and much more. Enjoy the flexibility to create your own itinerary and sightsee at your own pace; plus, youâ€™ll save up to 55% on select tours, attractions, dining and shopping. Whether youâ€™re a first-time or seasoned visitor, youâ€™ll love this whole new way to discover Los Angeles! Enjoy direct entry to attractions. Simply print your pass and go â€“ no voucher redemption required! Get access to over 26 top LA attractions, activities and tours with the Go Los Angelesâ„¢ Card! A total value of almost USD $1,000, this card is available to you at one low price. Visit LAâ€™s most popular attractions including Dolby TheatreÂ® Guided Tour, Madame Tussauds Hollywood, Six Flags Magic Mountain and the Queen Mary, and enjoy fun activities such as a hop-on hop-off bus tour, a Malibu celebrity homes tour and an afternoon at the Santa Monica Pier Aquarium! With the purchase of a 3-, 4-, 5- or 7-day Go Los Angeles Card, you will also receive one entry to Universal. Discover Rome with a hop-on hop-off cruise along the Tiber River. An easy and convenient way to experience the Eternal City, this cruise allows you to visit some of Romeâ€™s most noteworthy attractions, including the Colosseum and Vatican City, while offering exceptional views and informative commentary. Upgrade to include a hop-on hop-off bus tour for 360-degree panoramic views as you travel through the heart of the city. The ticket is valid for 24 hours so you can enjoy the wonders of Rome at your own pace. Board your open-air boat at either Castel Santâ€™Angelo, Isola Tiberina (Tiber Island), Ponte Sisto or Ponte Cavour. Listen to the recorded audio commentary as you sit back, relax and cruise along the Tiber River, admiring breathtaking views and passing under several incredible bridges as you go. With your 24-hour ticket, hop off to sightsee at your own pace. Perhaps disembark at Isola Tiberina to see the Colosseum, where emperors used to host games to entertain the public. Usually starting with comedy acts and exotic animal displays, the games ended with gladiator fights to the death. Hop back on the boat and cruise to Castel Santâ€™Angelo. Originally commissioned as a mausoleum, Castel Santâ€™Angelo now serves as a museum and is only a stoneâ€™s throw away from St Peterâ€™s Church and the Vatican City. The full-loop duration of the cruise lasts about one hour, and boats arrive every 30 minutes at both piers. Upgrade to combine your Tiber River cruise with a 24-hour hop-on hop-off bus ticket. Travel quickly and easily between Romeâ€™s most popular sights and enjoy spectacular views of the city from the open-air, top deck of the bus. Board your bus from any of the eight routed stops, hopping off and on at your leisure. See the Itinerary for a full list of stops. Perhaps, hop off at the famous Trevi Fountain and toss a coin into the crystal clear waters to ensure a return trip to the Eternal City. Be sure to stand with your back to the fountain and toss the coin over your left shoulder with your right hand. One coin means youâ€™ll return to Rome, two means youâ€™ll return and fall in love, and three means that youâ€™ll return, find love and marry. The full loop lasts around 1.5 hours, and buses arrive every 15 minutes at each stop. See Barcelona at your own pace on a one-day or two-day hop-on hop-off tour. With two interconnected routes, this tour is the easiest way to get around Barcelona and see all the sights. Get a bird's eye view of the cobbled medieval streets of Las Ramblas, discover the Port OlÃ­mpic beachfront promenade and see the famous F.C. Barcelona football stadium. You can hop on and off the tour as many times as you like aboard this sliding-roof double-decker bus. The two tour routes are interconnected so you can easily hop between them to discover the best of Barcelona. Your ticket is valid on both routes. You will also have free wifi access aboard the hop-on hop-off, and you will be able to use the same username and password on the on Madrid, Seville, Granada, Malaga and other cities same hop-on hop-off services. The entire route takes 120 minutes (in winter) and 140 minutes (in summer). Buses depart every 7-15 minutes from each stop depending on the time of year. Highlights include: Placa Catalunya, Catedral-Barri GÃ²tic, Barceloneta, Port OlÃ­mpic, Sagrada Familia, Parc GÃ¼ell, Tibidabo, La Pedrera, Casa BatllÃ³. The entire route takes 120 minutes. Buses departs every 7 - 15 minutes from each stop. Highlights include: World Trade Center, Jardins de Miramar, Anella OlÃ­mpica, Poble Espanyol, Camp Nou (F.C. Barcelona), Montjuic, Lâ€™Illa Diagonal.